Director Rian Johnson and Joseph Gordon Levitt have appeared in a clip via Apple to promote the trailer for their new film ‘Looper’. Yes, it’s a teaser trailer for a trailer but there are loads of awesome snippets of action. The futuristic thriller takes place in a world where time travel exists, but is only used on the Black Market. When the mob wants to kill someone, they send the target 30 years into the past where a contract killer (Joseph Gordon-Levitt) does the dirty work. 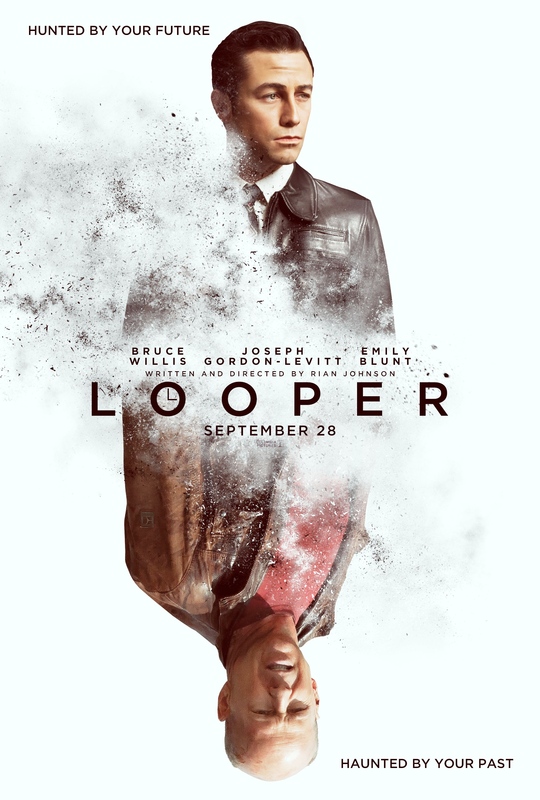 Things are going smoothly until Gordon-Levitt’s future self (Bruce Willis) is sent into the past to be killed. ‘Looper’ also stars Emily Blunt, Paul Dano, and Jeff Daniels. Hit the jump to check out the teaser trailer for the trailer. The full trailer is set to drop on 12 April.